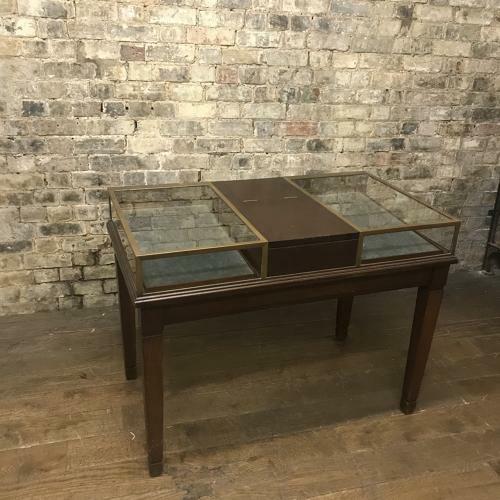 This is ideal for gold or costume jewellery - this 1920s cabinet offers two lockable display sections, each with their own door and a very unusual middle section which transforms into a mirror for customers to try on necklaces. It is bronze framed on a mahogany base, and is in good original condition. It was sourced from a very small jewellery in the Lanes, Brighton, where is has been used since new.